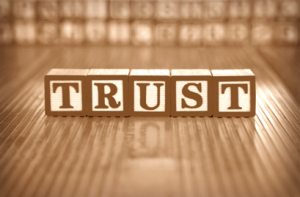 As trusts have gotten more popular and evolved in type to appeal to a lot of people, so now you might be under the impression that you must have a trust. While it’s not for everyone, there are so many trusts out there that it’s very likely you could find one that will help you to meet your goals, including to protect your assets and minimize taxes. Major liquid assets, setting up care for a child with special needs, and a variety of real estate ownership are a few of the reasons that people might initially turn to trusts. If you’re a resident of a state with a high state estate tax, income tax or probate costs, you’re likely to be concerned about the hit of taxes, too. This refers to situations where a federal estate tax is factored into your asset value, but an additional taxable event occurs at the state level. Without proper planning, you could find that the value of the assets you have worked so hard to build is extremely vulnerable to these taxes and costs. Contact our offices today to learn more about how these trusts can help you. Send us a message at info@lawesq.net or call us 732-521-9455.